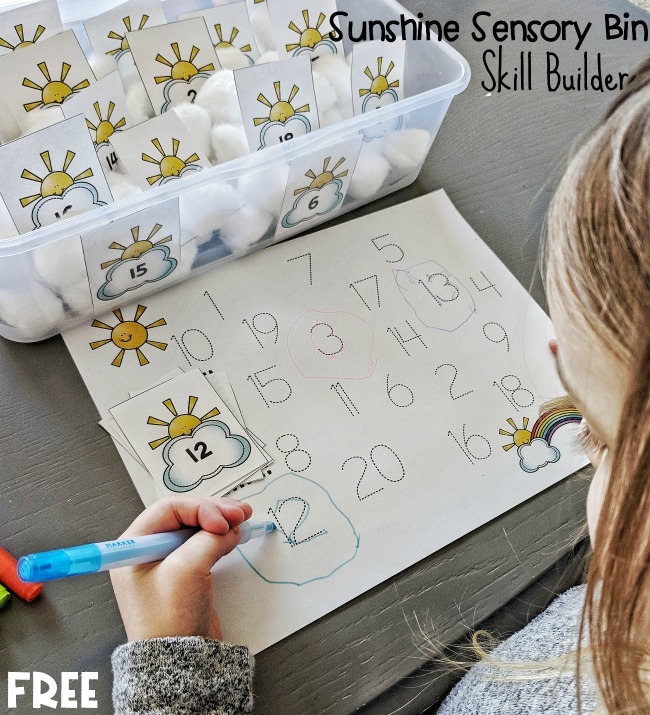 Well, our penguin skill builder pack has been SUCH a hit that I recreated it in a Spring/Summer friendly version! 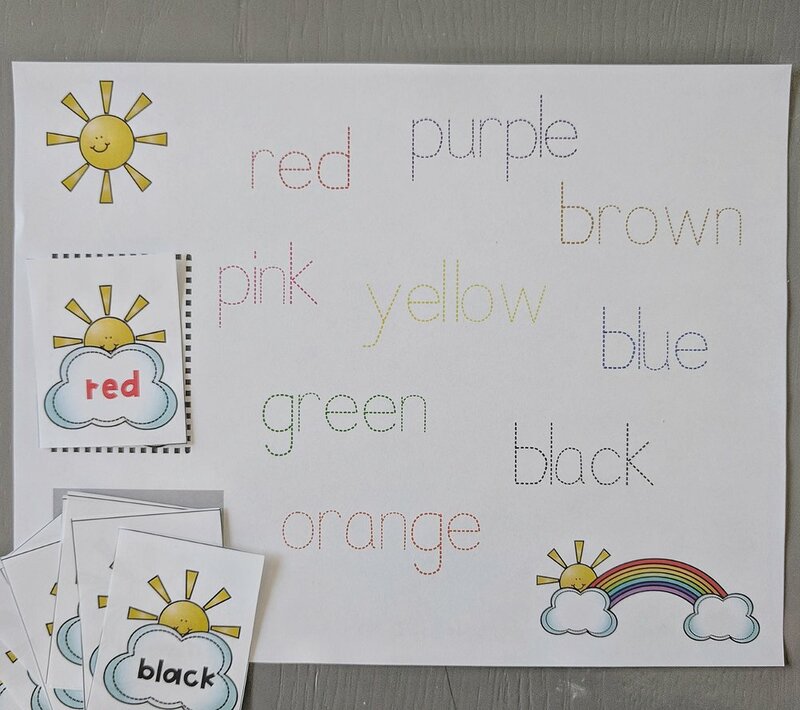 This is probably our favorite activity printable because it touches on so many skills in an interactive way. 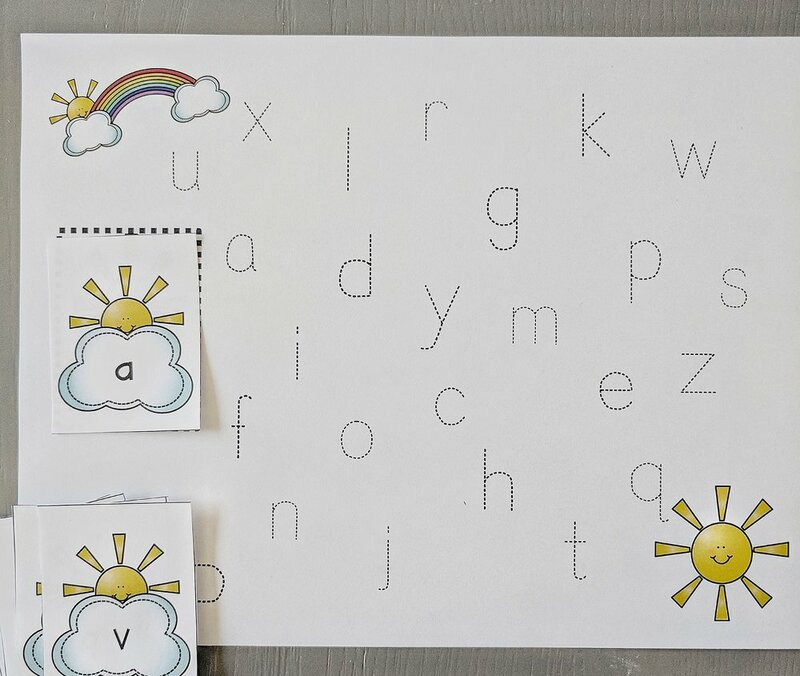 The printable includes: uppercase letters, lowercase letters, numbers 1-20 and color words. 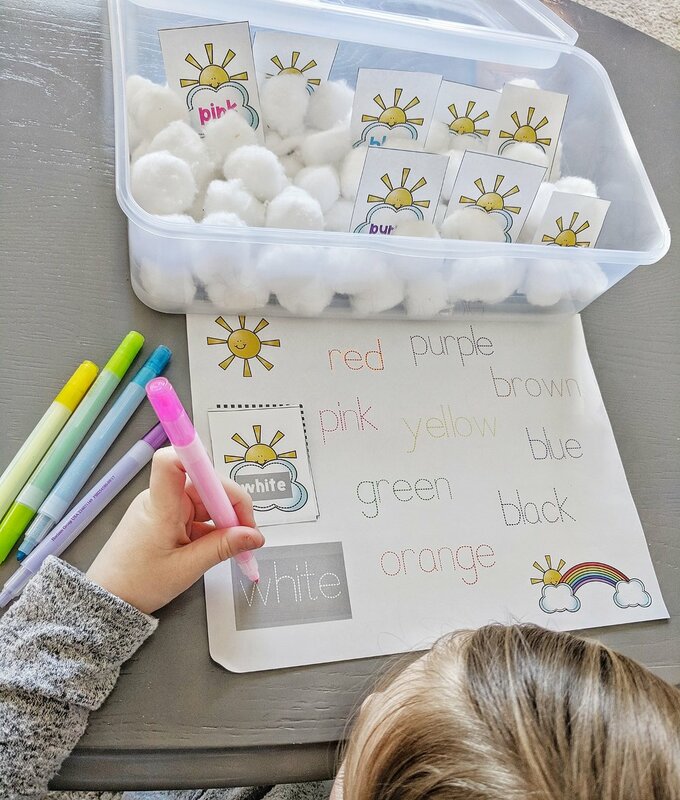 After you print out the pack, you can cut out the individual suns and put them (one pack at a time) in a cotton ball sensory bin. 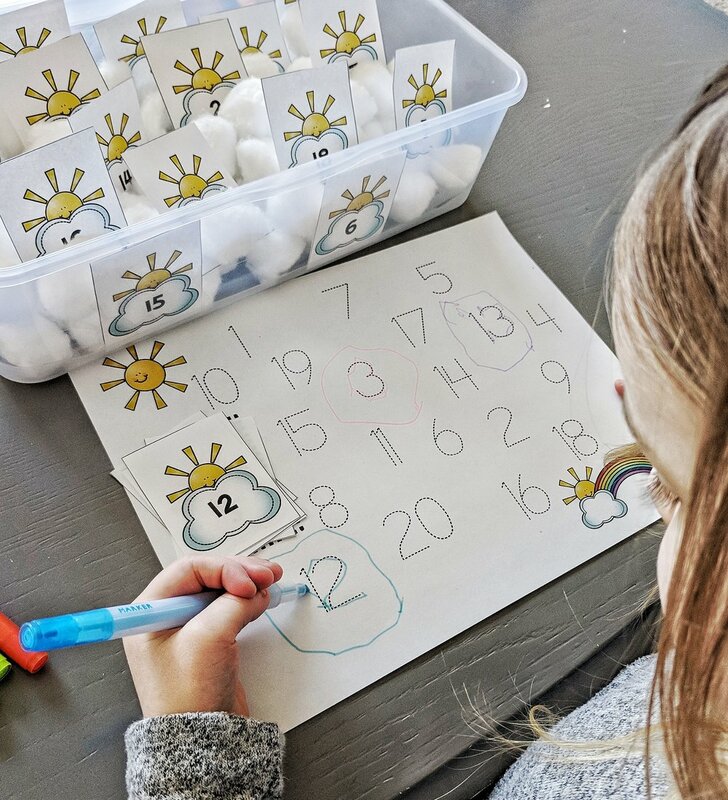 I used the same bin for the penguin pack but this time I'm calling it "clouds" ;) she still loved it! You can grab the entire pack HERE! We hope you enjoy it as much as we do!